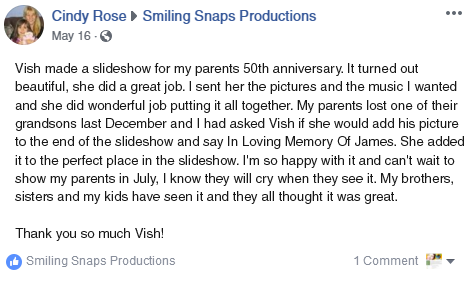 I am blessed to have a long (and growing!) 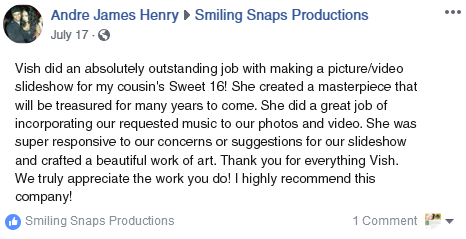 list of super-happy clients from all over the USA and many from overseas as well. 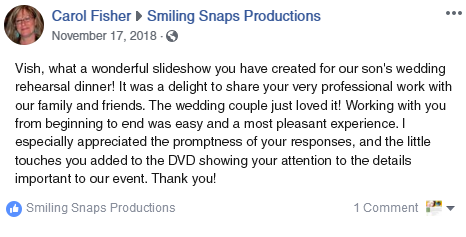 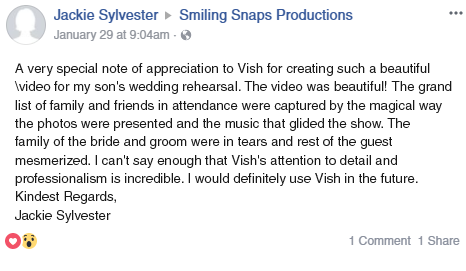 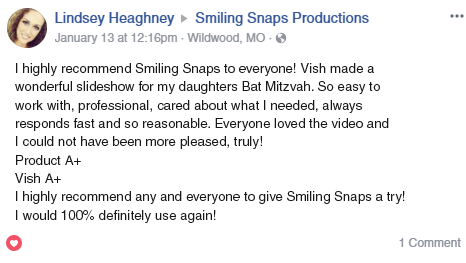 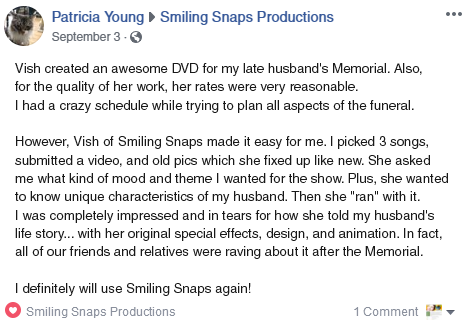 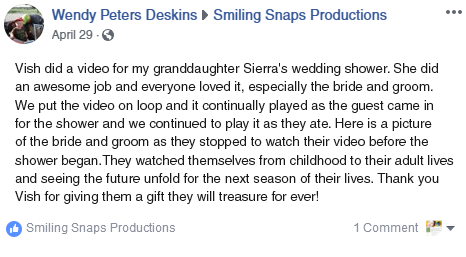 I feel truly humbled and thankful when they write about how awesome their slideshow DVD is!